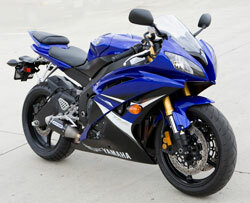 The Yamaha YZF-R6 motorcycle combines power and handling in the middleweight super sport class. The 2008 through 2016 models are super sport bikes popular in the United States and Europe, especially in Spain. These bikes hold their value well as there is a huge demand for used R6 models. The YZF R6 was the world's first 600cc stock production motorcycle with a four-stroke engine that could produce more than 100 horsepower. Owners looking for a performance accessory to build on the stock performance of this sport bike can find it with K&N. 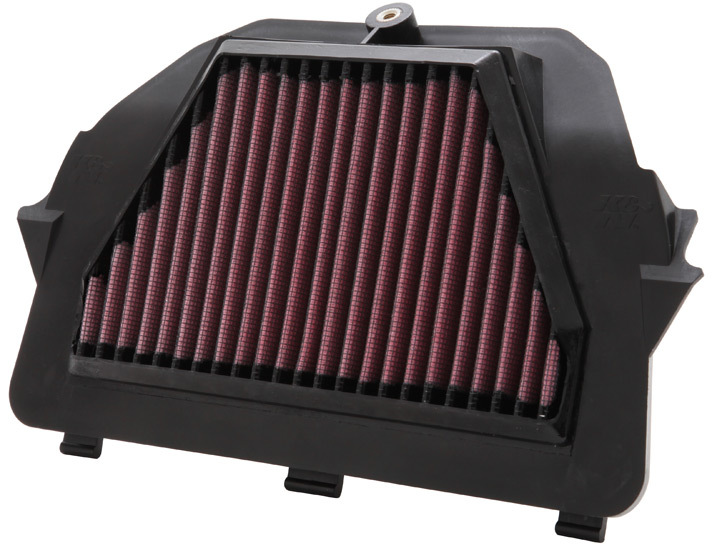 K&N designed a high flow replacement air filter, part number YA-6008, for 2008, 2009, 2010, 2011, 2012, 2013, 2014, 2015 and 2016 Yamaha YZF-R6 motorcycles. This performance air filter is designed to provide high airflow, increased horsepower and acceleration while providing engine protection. It is custom made for the YZF R6 and like all K&N performance air filters it is washable and reusable. The YA-6008 is shaped with a urethane molded frame for a proper seal and extra long life. This pre-oiled air filter will fit directly inside your OE air box assembly. Simply remove the stock air filter and install the K&N air filter into the stock air box. There are three clips on the air filter that will slide into place into the air filter cavity in the air box. Our K&N air filter will only fit into the air box one way. Do not remove the air filter o-ring in the air box. Once you apply pressure, the K&N motorcycle air filter will snap into place. Use the stock screws to secure the K&N air filter to the air box. The center screw on the air box lid holds the air box lid and air filter into place. K&N’s YA-6008 is covered by K&N’s famous Million Mile Limited Warranty and will be the last air filter your Yamaha will ever need. For 2008 to 2016 Yamaha YZF-R6 motorcycles used only in pavement racing environments, K&N offers its two-ply cotton media replacement air filter, part number YA-6008R for less restriction and increased horsepower and acceleration. Use the K&N's year, make, model and engine search to find all K&N products for your car, motorcycle, or ATV.